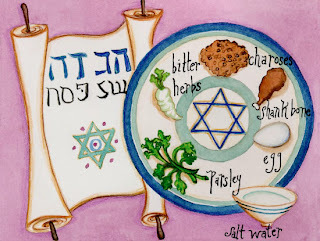 Now that Passover has officially passed over, I would like to once again share with you the re-tweeting I’ve just completed of the lovely and traditional The Eight Days of Pesach. Also, following the holiday, I’m too lazy to write a new post. This legendary prayer represents the spiritual and emotional yearnings of the Jewish people in the same vein and best traditions of the Avinu Malkeinu, Ose Shalom, and the theme from Curb Your Enthusiasm. I mean, “lords a-leaping?” Come on! This explains why the Havertown PA Talmud is a much better beach read. Which is a good thing because anyone who puts much stock in its teachings had better start getting used to extremely hot temperatures right now! The version of The Eight Days of Pesach presented herein is also the one chanted earlier this year by comedian/actor Ricky Gervais when he followed up his controversial insult-laden hosting of the Golden Globe Awards with a controversial insult-laden hosting of a Passover Seder which, incidentally, was attended by the Legendary Jewish vampire, Vlad the Retailer and the mythical Jewish creature known as the LOJM. It is also the favorite version of The Eight Days of Pesach of the vainglorious Mottel the Itinerant Rabbi, Ma Nistanah and Pa Rumpumpum, the two halves of the happiest mixed marriage in Show Business, and Al Rothman, President of the Men’s Club of Temple Boray Perry Hagolfen. Gee, I sure have written a heck of a lot about the Jews. I ought to pick on somebody else for a change! and an Afikomen hidden stealthily! * soap is not actually used in the washing. Whaddya want, I'm winging this! *** "Eight lame jokes a milking" --- or however many you have around your Seder table. Hopefully fewer, but probably not.